Pinpointe services email marketing ‘power users’ who have outgrown their Email Service Provider but don’t need all the features and cost associated with Marketing Automation. 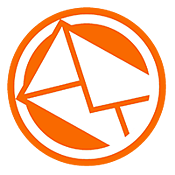 Pinpointe is designed to support high volume customers sending consent based email campaigns. Schedule a 1 on 1 demo or free trial. Call 800-920-7227 for more information. Please fill in the information below to get your subscription started. Every email includes an ‘unsubscribe’ link, so you can opt-out at any time. * Valid email address required for confirmation.